Spread across approximately 7,500 square feet of space, Nevada Climbing Centers’ towering walls grant scalers of all abilities the chance to hone their ascending prowess in a safe, friendly environment. 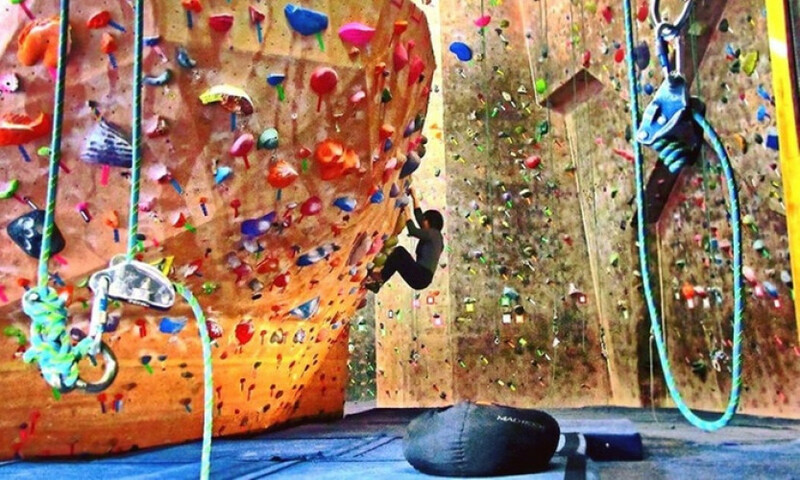 The center proudly offers a trio of climbing environments, including an unharnessed, low-altitude bouldering area, sheer-faced top-rope walls, and a fully inverted lead cave. To help improve breathing and balance, climbers can drop into one of NCC's yoga classes, or take a more acrobatic approach with aerial silks training.